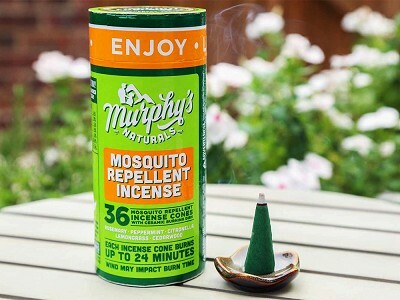 The mosquito repellent incense sticks from Murphy’s Naturals prove that nature has its own way of warding off pests. 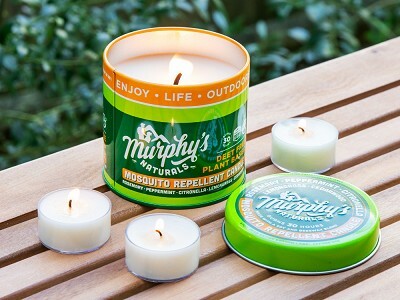 High concentrations of citronella, rosemary, lemongrass, peppermint, and cedarwood oils protect your space from mosquitoes without using DEET or petroleum. And this natural blend of oils smells great, too. 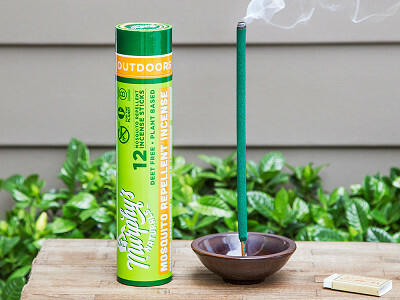 The incense can give you a 12-foot radius of protection for up to two and a half hours. The sizable sticks are perfect to use on the patio, deck, or porch. 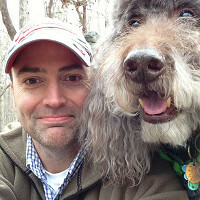 The Freeman family is behind this B-Corp company named after their dog, Murphy. The Freeman's are committed to responsibly sourcing plant-based ingredients and creating repellents that help protect families—not harm them. And because their incense is clean-burning, you don’t have to worry about burning it around yours. How is Murphy’s Naturals committed to giving back? Murphy’s Naturals' mission is to celebrate nature and inspire good through quality natural products. Murphy's Naturals, a Certified B-Corporation, embraces the philosophy that companies have the power and obligation to help solve the social and environmental problems we face as a global community. They make a commitment to contribute 2% of gross revenues to goodwill organizations that share the vision of a healthy environment, while supporting the health of local and global communities. Murphy’s is also a member of 1% For The Planet. 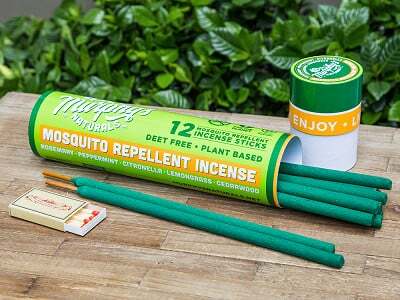 How are the incense sticks different from other mosquito repellent sticks or candles on the market? 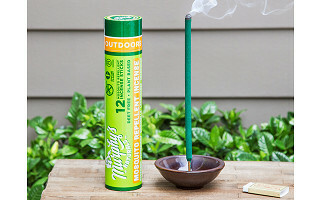 With 10% repellent oil content, Murphy’s Naturals Mosquito Repellent Incense Sticks have significantly more repellent oils than other mosquito & insect products. Each stick offers an effective and refreshing fragrance to create a pleasant bite-free environment. How large of a range do the incense sticks protect? About 12 sq. ft. For best results, light incense on patio or deck 10 minutes prior to outdoor activity or for even greater coverage place several incense sticks around the area of use, spacing them 12 feet apart. How long do the incense sticks burn? About 2 - 2.5 hours.